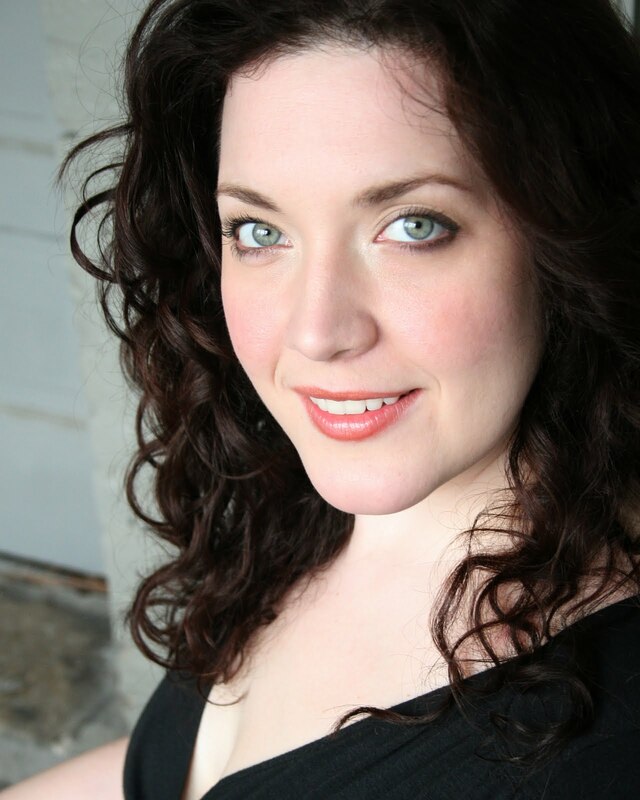 Making her role debut today as Turandot is Marcy Stonikas, one of the incredible singers who has come through Seattle Opera’s Young Artists Program. Operagoers of the Pacific Northwest first heard Marcy’s thrillingly warm, lush, soprano in 2010, when she sang Ariadne in the YAP production of the Strauss opera; she returned the next season, for Donna Anna in the YAP Don Giovanni, and made her mainstage debut a month later as the Second Lady in The Magic Flute. She’s ready now for even greater challenges, taking on the demanding title roles of Turandot and Fidelio—and one new role which is more important than any other. Marcy, since we heard you in those Mozart roles last year, you’ve become a mother! Yes, last September. Of course that’s been amazing. It’s really funny, people always say “It changes your life!” “It’s the best thing that will ever happen to you!” “You’ll live through your kid,” and I’m like, “Yeah, yeah, yeah...” But everything they say is true. Henry, my son, is so much like my husband and I, in some strange, funny ways. That’s right, because he played the Sherriff in Porgy and Bess last summer. So what is it Henry does that’s reminiscent of Brian and you? He furrows his brow exactly the way Brian does. And a ten-month old baby furrowing his brow is hilarious. People say his eyes look like mine...when he smiles, they say he looks just like me. Also, and he’s like me in this: when Henry gets hungry, you need to feed him immediately, or he becomes very difficult to handle. My husband is a pro at this! And do you sing to him? Yes, very good audience. So long as he’s well-fed. 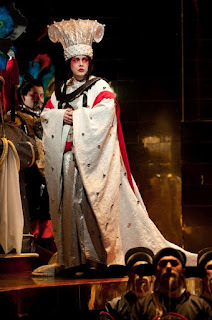 You can hear a brief clip of Marcy Stonikas singing Turandot HERE. Just like all of us. 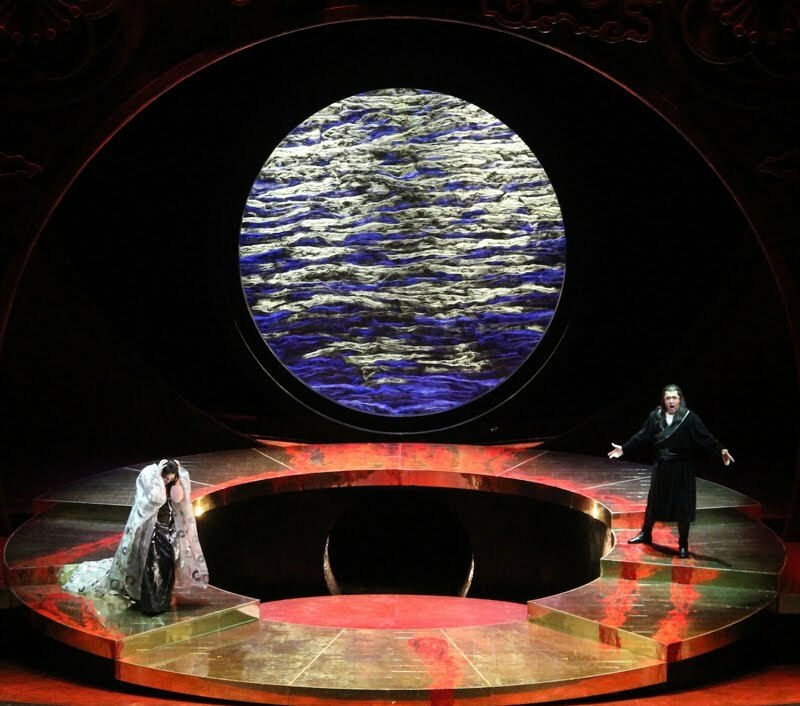 Now here at Seattle Opera we've got you back-to-back singing Turandot and Leonore in Fidelio, both huge roles, and quite different. What’s most important about the difference, to you? The orchestras are quite different: Beethoven’s orchestra is not as noisy as this humongous Turandot orchestra. Does that affect your work? No...I don’t think about it that much until I’m with the orchestra, to tell the truth. Both these roles are considered big, hochdramatisch, ‘laser-soprano’ roles, unlike, say, the lighter Mozart roles you’ve sung for us. But it’s the same game, so far as you’re concerned? Yes, the idea with singing dramatic soprano roles is keeping the beauty you’ve (hopefully) attained singing Donna Anna, or more lyric things. People expect you just to be loud, singing these roles, but you take it to the next level if you can make it sound pretty at the same time. That’s my goal. Who are your favorite dramatic sopranos? People who are able to sing with the requisite size of voice, the royal majesty for these roles, and also still be beautiful. I think so. That’s what makes me want to listen to them. Seattle Opera is a big house for such a challenging role. I probably won’t be ready for that so soon. Have you looked at it? Oh, I know. When I was in college my best friend and I traveled six hours from Oberlin, Ohio to Chicago to hear Jane Eaglen and Ben Heppner sing that opera, it was a necessity. And other roles you’ve got your sights set on? Have you been learning all those arias? I know them...but I don’t necessarily know the entire the role. Some things don’t need to be rushed into. But the role of Sieglinde, I would learn the whole role right now. Yes, those I already know. I’d be happy to learn the rest of the role, because I could sing it today. But Elektra? That will have to wait. Salome, maybe, but Elektra, Isolde, Brünnhilde...for those I would wait. And Die Frau ohne Schatten? I would do the Empress—not the Dyer’s Wife—in the next five years. We’re talking about a lot of Wagner and Strauss roles; anything else you’re looking forward to? I’m happy to work; the goal is to have constant work. I hope that happens, but with these big operas it’s challenging, given the economy. What is on Turandot’s mind at the beginning of the opera? When you come out to condemn the Prince of Persia to death, you don’t have any lines...what are you thinking in that scene? At the beginning she’s annoyed that this 14, 15 year-old kid, the Prince of Persia, has come to bother her, and had the nerve to think that he could be the Emperor and answer these riddles correctly. You know, Turandot has a difficult position in society: as the Emperor’s daughter she’s a vessel, not even a real person. She has to marry the next Emperor, that’s her main function. And as a result she resents the Prince of Persia. Yes, she resents the fact that she has to cut off his head. It’s not that she enjoys it. I really don’t think she enjoys the consequences of these people not knowing the answers to the riddles. It’s a double-edged sword. Of course she doesn’t want to be with someone who she doesn’t want to be with; but she it’s not that she likes killing people. How did this situation even get set up? Did you figure out the backstory? Good question. My father says, “Un giuramento atroce mi constringue...” (An atrocious oath constrains me). But the point is, it’s like Brünnhilde on the rock surrounded by fire. 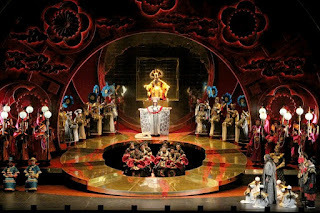 This set-up with the riddles was supposed to protect Turandot. There wasn’t supposed to be this flood of idiots attracted by the challenge...it was supposed to scare them off, and it doesn’t seem to be working. I’m totally whining there. That’s my “O mio babbino caro” moment. That’s interesting, I’d never noticed that before. Because that [Gianni Schicchi] was the last opera Puccini wrote, right before Turandot. 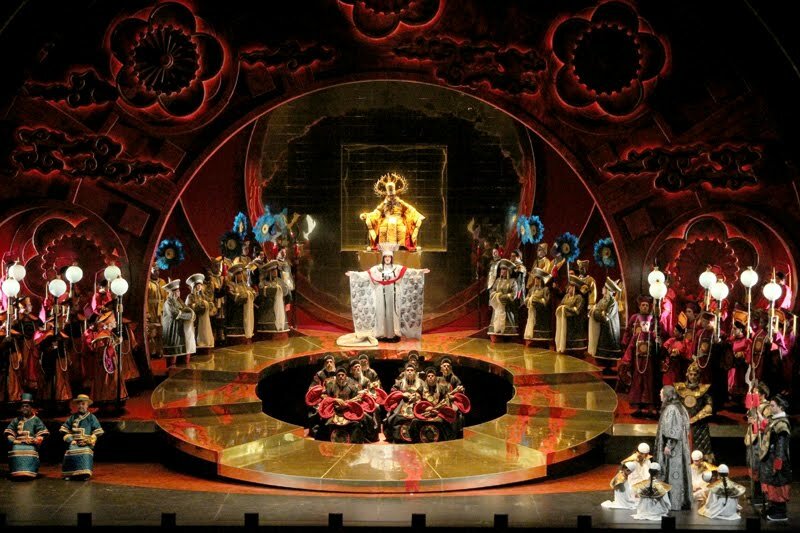 Now, do you worry about the audience sympathizing with Turandot? Yes. Before I got here that was one of my main concerns, because sometimes it’s not staged that way. The word that comes to mind is ‘Black Widow;’ that’s the way people often perceive her. I was hoping to make her 3-dimensional. So I was very happy when I came here and [Stage Director] Renaud [Doucet] said, “If she’s not 3-dimensional, not sympathetic, not a real person, then what’s the point?” I completely agree, and I was so grateful to hear that from him...I breathed a big sigh of relief, because I didn’t know how I was going to do it. This is my first time singing this part. So now, every other time, even if I’m directed differently, I can know in my mind where she’s coming from. When you say ‘3-dimensional,’ or ‘not a real person,’ what is it about Turandots you’ve seen before that hasn’t connected? She’s just evil! Manipulative, an ice queen and that’s it. I didn’t want to go there. Why does she sing “In questa reggia” [the aria in which she explains her vendetta against men] to Calaf? She always sings that. If you notice, Ping, Pang, and Pong yawn at the beginning of the aria—that’s because they’ve heard it so many times before. It’s the story she’s been told all her life, and she has so identified with Princess Lo-u-ling she’s kind of singing about herself. The need to protect herself, to maintain a strong boundary when all these princes come a-knockin’. So what’s different about Calaf? And when do you realize that something is different about him? First of all, he’s a good-looking man. I’m not marrying a 15 year-old kid. And secondly, I respect the fact that Calaf answered all these questions correctly. And there’s an element of compassion I see when he is outraged at Liù’s death. That’s the real transformation for Turandot. She certainly doesn’t like having to torture Liù, but she doesn’t have any other options at that point, except to give up control and, I don’t know, go enter a convent. She wants the answer, but certainly doesn’t mean for it to go so far. The hardest part is making sure that my reaction to Liù’s death is very strong, as strong as it needs to be. That’s where the character really becomes 3-dimensional. for a most interesting interview!! 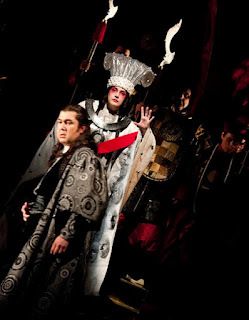 Maybe I was too narrow in my comment on Liu, above, as Marcy does make Turandot also seem believably-human. None of the Turandots I have ever seen have succeeded in doing this!! The question of Marcy's singing Sieglinde came up. 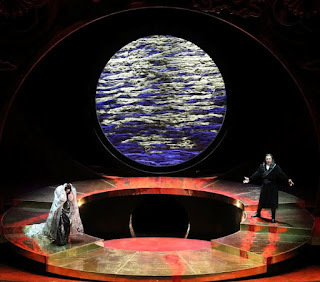 Those who likes Ausrine Stundyte's "silver" Butterfly last May may be interested to hear Ausrine will be singing Sieglinde in Palermo's (Italy) production of "Walküre" in January 2013!! Toi, toi, toi!! Marcy is an EXCELLENT example of the NECESSITY of Seattle Opera's "Young Artists" Program. I understand it may be dropped for lack of funds. PLEASE, wealthy donor(s) SAVE THE YOUNG ARTISTS PROGRAM!!! Seeing and hearing Marcy Stonikas should convince you of the validity and necessity of this program!!! I wanted to comment on your Fletcher management site, but it is not working. I loved your singing in the second half of the Seattle Opera Wagner competition. I, and the person on my right and left, decided to vote for you. Your ballot box was so full it was hard to get ours in. So I am surprised that you did not win. Keep it up. I was behind you on stage for Fidelio, I have seen your progress. Hope to hear more from you.